You can either click the button "RESERVE YOUR ROOM" or please call 503-978-4500 and mention the 2019 Western US Hemp Growers Conference & Expo in order to booked under the discounted rate for $189 per night. Limited Space Available! 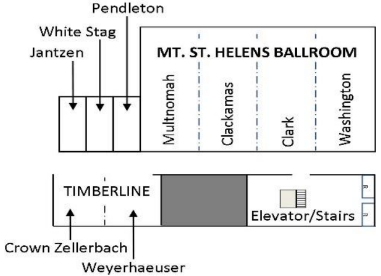 The trade show & general sessions will take place in the Grand Ballroom. Breakouts will be in the Mt. St. Helens Ballroom on the Lower Level.